The odd thing is that there wasn't a Earthquake Fest (Aardschok Festival) on April 30th 1983. That year's festival took place on June 25th but no Picture. As far as I know this must be the concert on January 30, 1982. 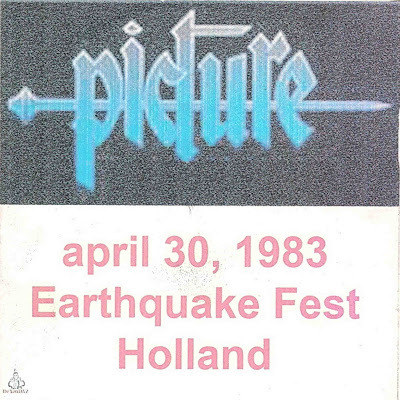 The first Aardschok Festival and the only time Picture was on the bill. There were several editions of Earthquake Festival. Not to be confussed with AardschokDAG.But not in 1983. They play songs from Eternal Dark from 1983. 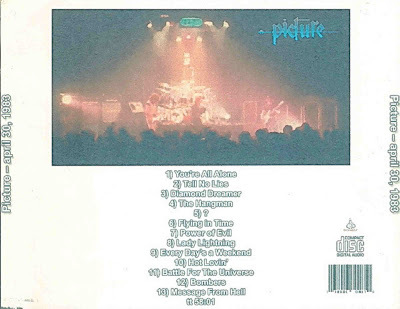 On Eternal Dark their vocalist was Pete Lovell not Shmoulik Avigal who song on Diamond Dreamer from 1982. So this can also not be on 30 jan 1982 at the Aaardschokdag.